So I've made it to the end of the first quarter. In this time, I've created all of my lessons (some with the help of teammates), graded my own student work (as opposed to pushing it off on others), performed benchmarks, assessments, and conducted over 20 parent conferences in this last week. I spend my nights, and often times weekends, in my classroom preparing for upcoming lessons, redecorating, or brainstorming how I can close the achievement gaps my students are facing. Currently, a normal weekday for me consists of waking up at 5:45am, getting to work by 6:40am, planning/prepping lessons until 8 am, teaching from 8am-3pm, and more planning/prepping/organizing from 3pm-5pm, sometimes 6pm. In addition to my "Netflix and Chill" hour, I now also enjoy browsing teacher resource pages, teacher blogs, and scouring through Pinterest looking for new activities/lessons to prepare. Last Friday we tracked-out for the next two weeks, and what did I spend my first weekend doing? Grading the first few assignments of 2nd quarter, organizing my grade book, and researching the topics of my next unit in social studies so I could begin putting together the resources I (as well as my students) will need. The worst part? My teammate and I were just texting about how much we miss our kids already! Do you really think our kids are thinking about us on the first few days of their 2 week break? The chances of that are highly unlikely. It's quite concerning if you ask me, I mean can a teacher really be addicted to their classroom? I had never heard of such a thing! Of course my friends and co-workers tell me I need to take a break, and even I sometimes think I need to take a break, but in the midst of that break, I tend to feel the need to grab my laptop and work on something. Maybe it's deeper than my role as a teacher. Maybe it's more about my addiction to planning things? Yeah...no... because in other aspects I am honestly not that pressed about planning. As strange as it is to say, it's almost therapeutic for me to be alone in my classroom, Pandora flowing, working on something on my to-do list. At this point I'm almost thinking an intervention is necessary! What do you think? 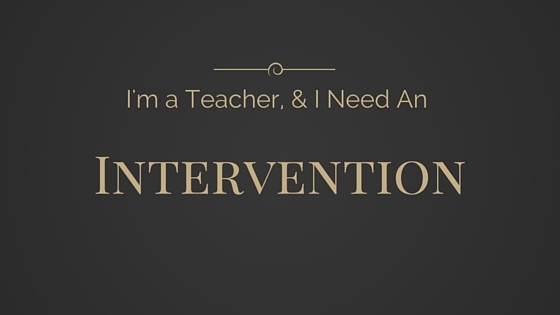 Are there any teachers/educators out there that feel this constant need to work on lessons/plans/organization? Or maybe you're in a different career, but feel the same way about your duties/tasks? Let me know! Comment below or email me at mscurlykay@gmail.com.